T-Minus 8 days until my students come back and I have been working like crazy to get my new classroom ready for them! 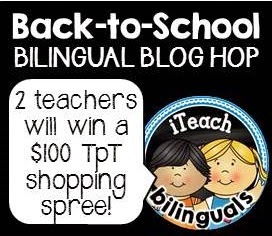 I thought I would take a moment to join this awesome Bilingual Blog Hop with 19 other Bilingual Bloggers for Back-to-School. Can I just take a minute and reflect on how awesome this is? 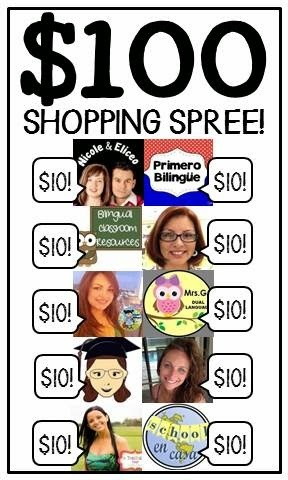 When I first started teaching I remember having to cut and glue Spanish text over English worksheets to make resources for my students... 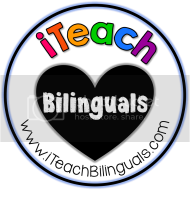 I love how because of Teachers Pay Teachers and blogs we are now able to collaborate and share resources that we use in our bilingual/dual language/ESL classrooms with teachers around the world. 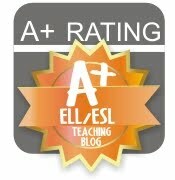 It has made my planning so much easier and taken my teaching to a whole new level! 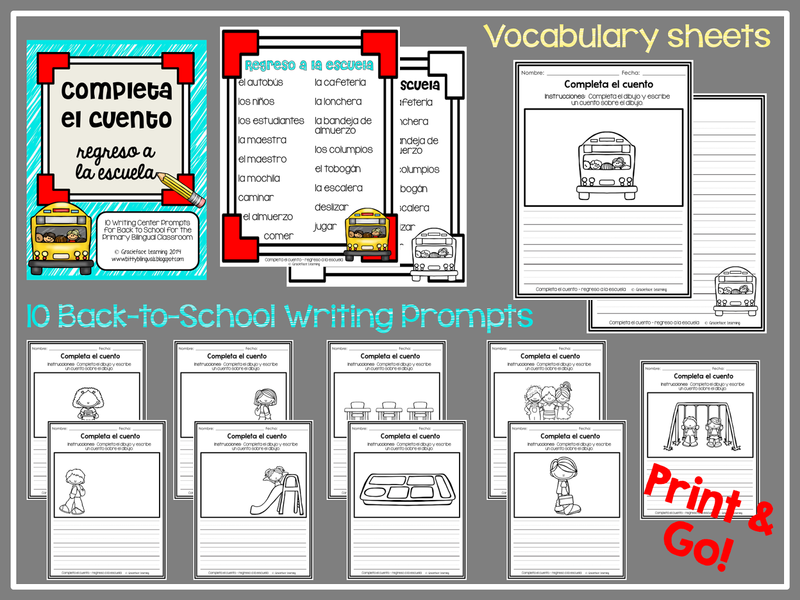 Speaking of which, I am so happy to share one of my new products with you... Completa el cuento (Finish the Story in English). 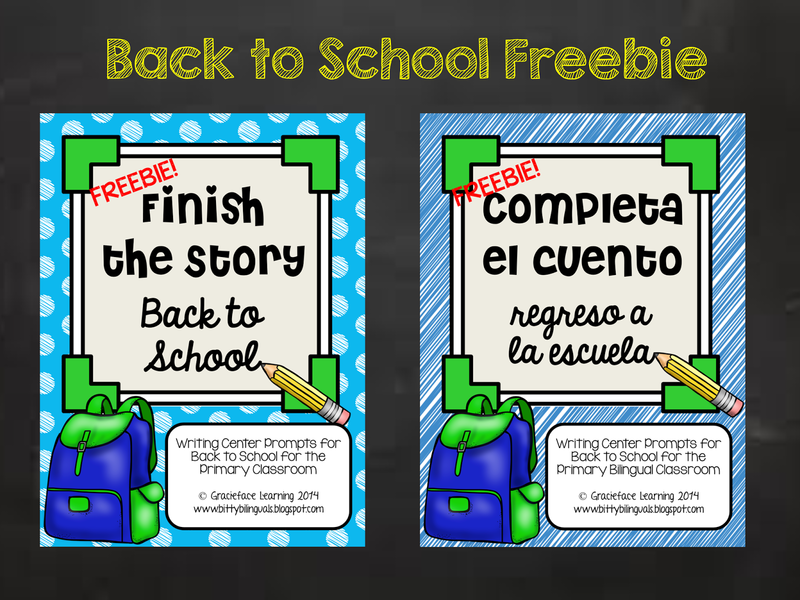 I started making these packs for my students last year and the students loved them! They started being a staple at my writing center and I loved seeing the stories that they came up with! 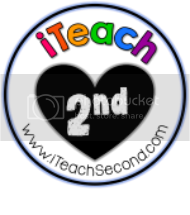 I plan on using some of this pack on the first day of school with my second grade kiddos. Not only does this activity let them use their supplies and jump into 'real' school work, it allows me to assess their writing and drawing skills. I thought that I would share a sample that isn't included in the pack for this Bilingual Bloggers hop. Follow the links below for the pack in English and Spanish. After you download, I would appreciate if you could take a moment to leave some feedback. It would mean so much! 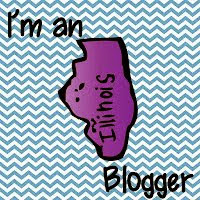 Now for the super fun part of this blog hop! 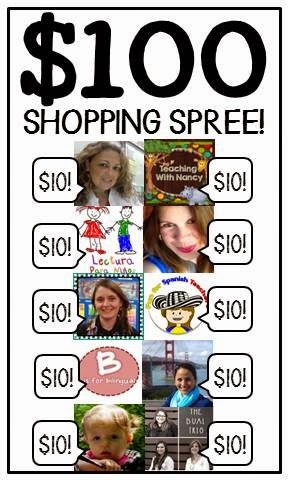 We are offering $100 worth of Teachers Pay Teachers products to two people after the blog hop! Enter the Rafflecopter giveaway below! Good Luck! Exciting and innovative team building activities are tailored for our clients to powerfully illustrate the importance of strong teams, and a strong culture. These high impact and challenging corporate team building activities can be delivered for the entire company.